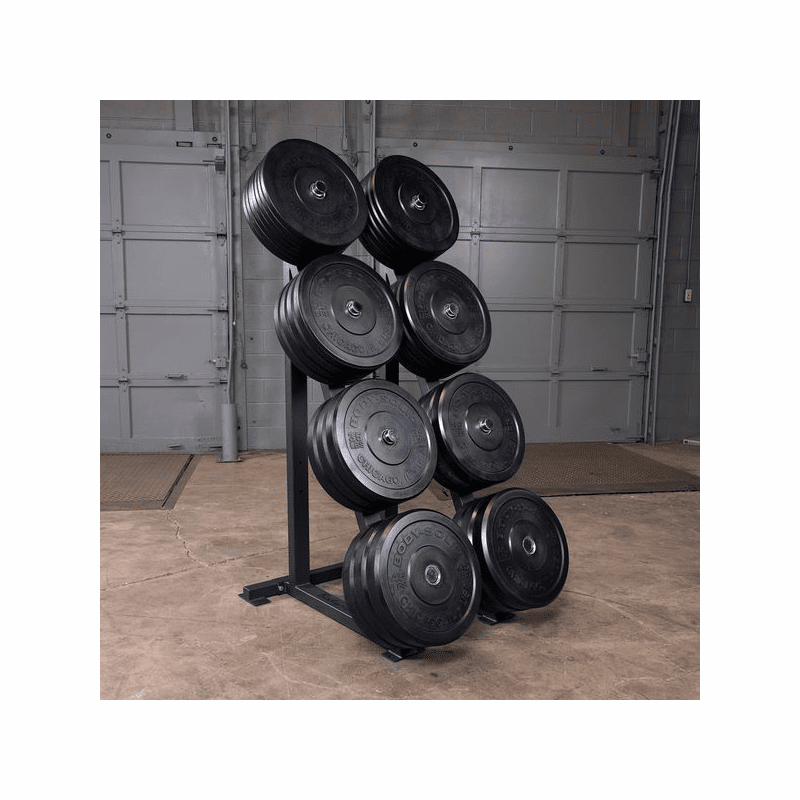 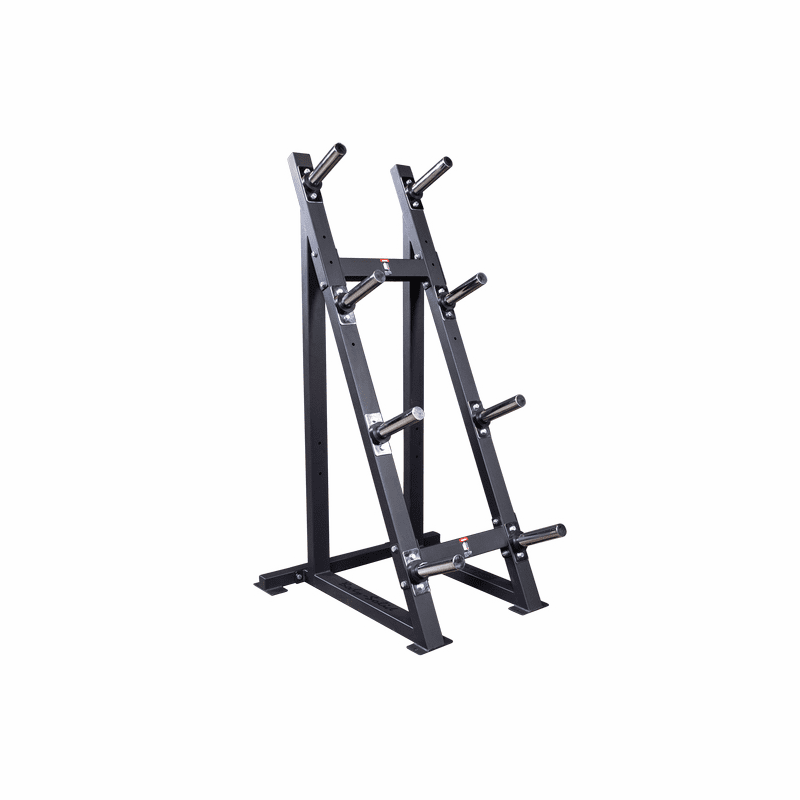 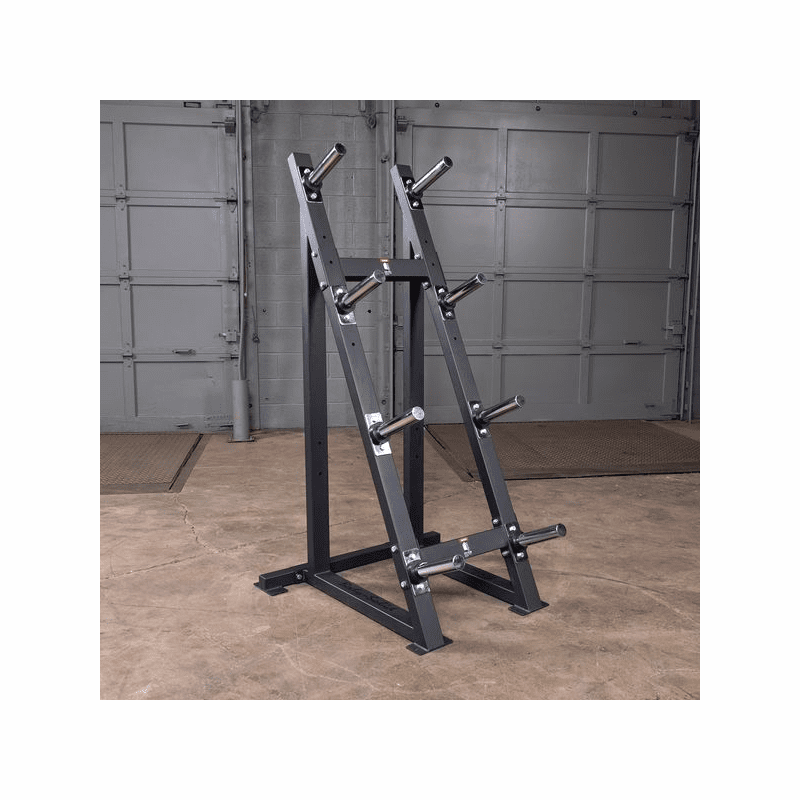 The GWT76 Weight Tree is a modular weight storage option allowing users to configure it for spacing of Olympic rubber bumper plates or traditional Olympic plates. 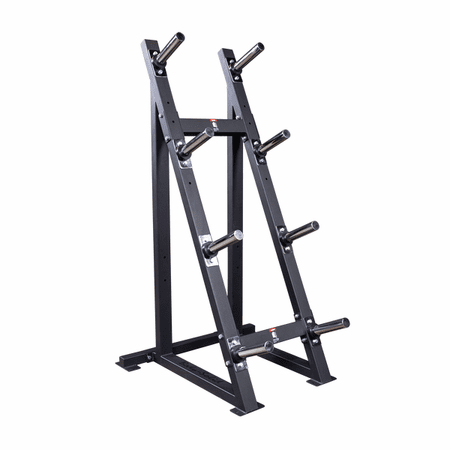 Configured as a bumper plate rack, the GWT76 has 8 x 8-1/4� weight horns. 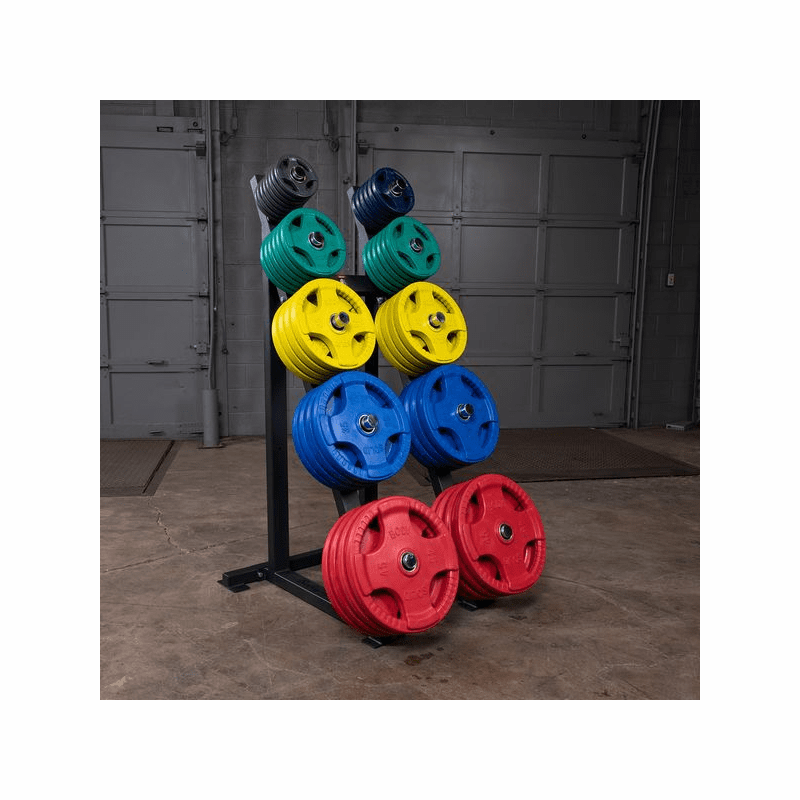 Configured as a traditional Olympic plate tree the GWT76 has 10 x 8-1/4� weight horns. 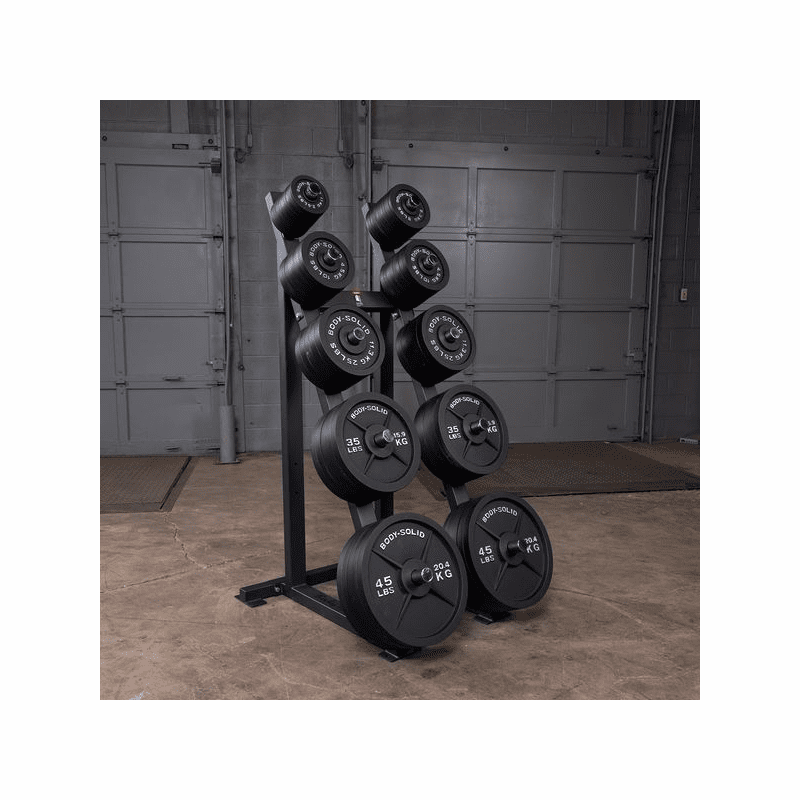 Each weight horn offers 8-�� capacity and features all-welded caps with no plastic for superior durability. 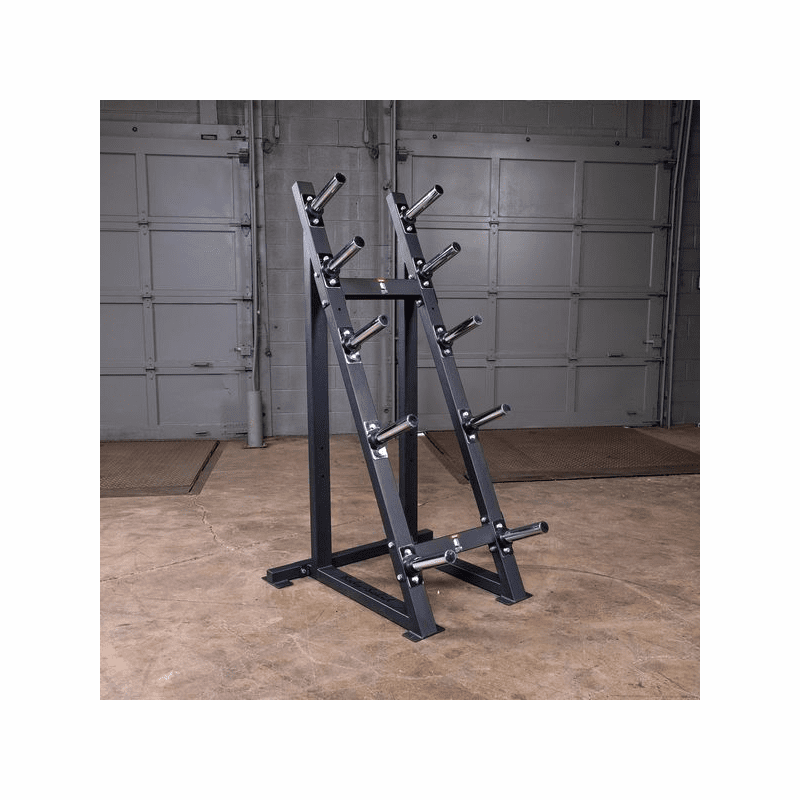 Constructed with heavy-gauge steel, the Body-Solid GWT76 Plate Rack features a unique and revolutionary space-saving design that allows it to rest comfortably against any wall.